Before they even had a name, a charming young girl called to book the band for their very first show. M-O-R-G-L-B-L were the first letters to come to mind. 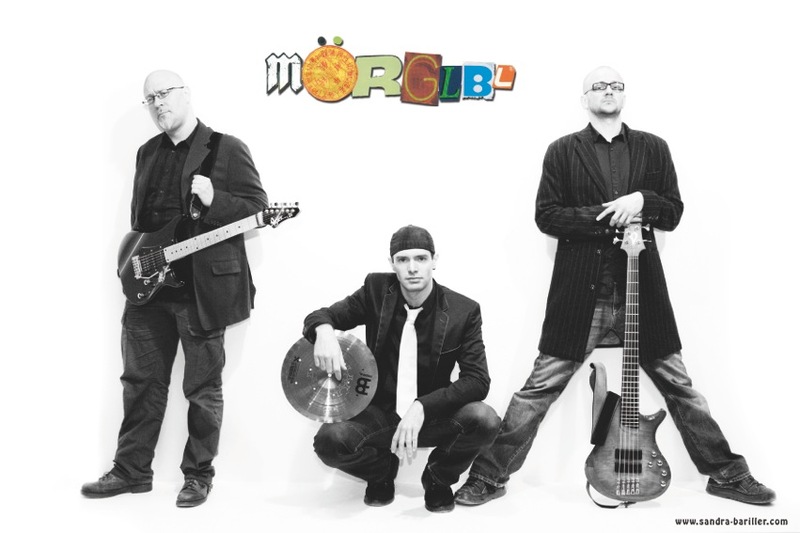 Led by guitarist extraordinaire Christophe Godin and anchored by the phenomenal Ivan Rougny on bass, Mörglbl gained international acclaim through their first two albums in 1997 and 1998. Years of extensive touring saw the band’s reputation grow until a break was needed. But in 2007 Mörglbl came roaring back with their 3rd critically acclaimed album, Grötesk. Drummer Aurélien Ouzoulias joined Mörglbl in 2008 bringing a new kick to the band’s music. Mörglbl’s live performances are a crazy mix of jazzy moods, fat, funky grooves and substantial chunks of metal all served up with a Zappa-like humor. Some describe it as Primus meeting Steve Vai. Mörglbl hits like a heavyweight jab and makes you laugh while you bleed. Seat belts are optional, but highly recommended.